Vicks V745 is a warm mist humidifier using a vaporizer technology. Vicks V745 is a cheap but very effective humidifier, it covers up to 400 square feet (37 square meters). 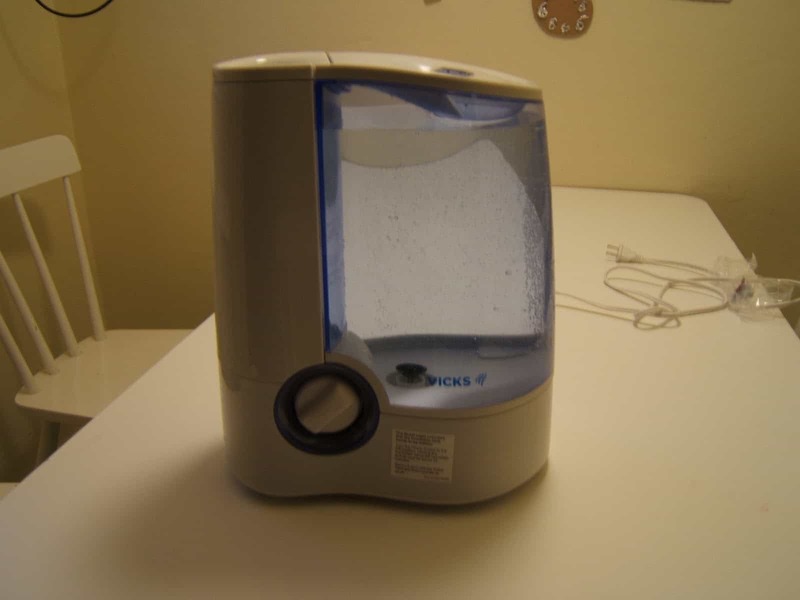 Vicks V745 is well designed, it is simple and easy to use. 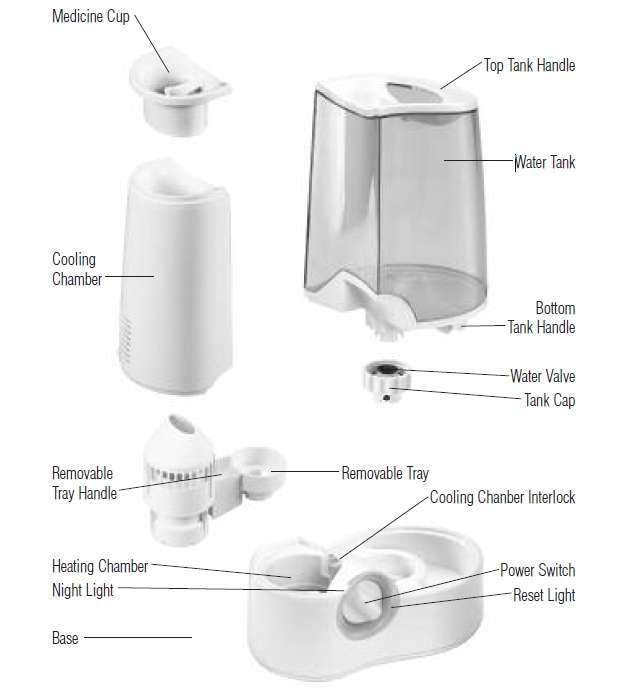 The humidifier is compact and stable. It has a translucent tank. So you can easily see the water level. The height is 14 inches, width is 12 inches and depth is 8 inches. The weight is 4.7 pounds. So it is easy to lift the humidifier as well as place it whenever you might need. Automatic shut-off. 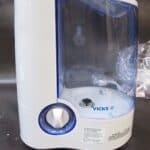 Vicks V745 automatically turns off when out of the water. Vicks V745 has a medicine cup. 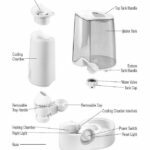 It allows you to drop essential oil in the cup and use the humidifier also as a diffuser. Great feature. The humidifier has two output settings – low and high. With high, it works for 7-8 hours, with low up to 12 hours. Soft glow nightlight. However, someone may find it annoying. You can’t turn it off. 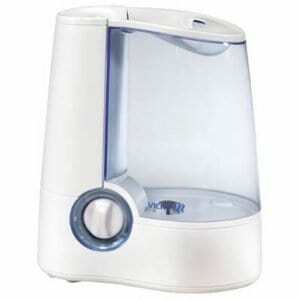 You can turn the humidifier around or cover the light with a sticker. 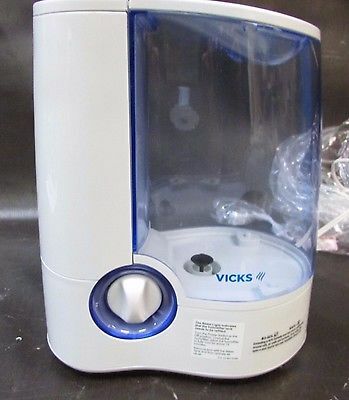 Vicks V745 will make some noise as all humidifiers do. On the low setting, it is quiet. You will hear a low boiling noise. On the high setting, you will also hear a boiling noise but a bit noisier. Sometimes it gets a bit talkative but that’s not happening often. If you are a light sleeper this unit will not wake you up. Vicks V745 requires regular cleaning. 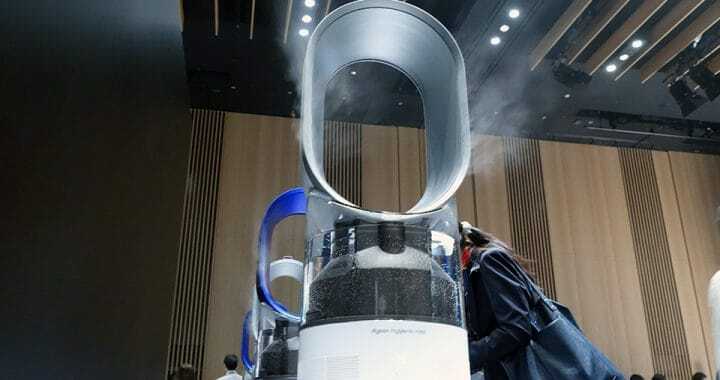 Depend on how often you use the humidifier. Daily you have to refill the tank and empty it if you dot use the unit. Every week or 2 you have to do a cleaning. If the tank smells, add a teaspoon of bleach, swish it around and empty it out. Pour vinegar into the tank, let it sit for some time and then clean it. 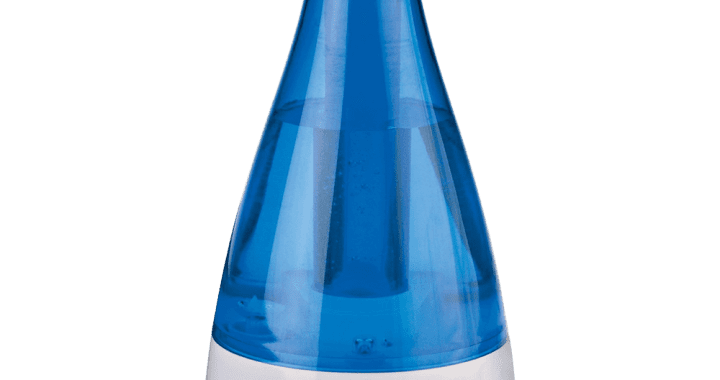 Vicks V745 is a great warm mist humidifier. 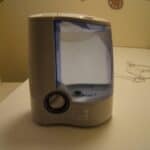 It does the job very well, it is cheap and quiet, it has an auto shut-off feature, covers up to 400 square feet. 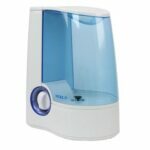 Posted in Humidifier Reviews, Reviews and tagged Humidifier, Humidifier review, Vaporizer, Vicks, Warm mist.